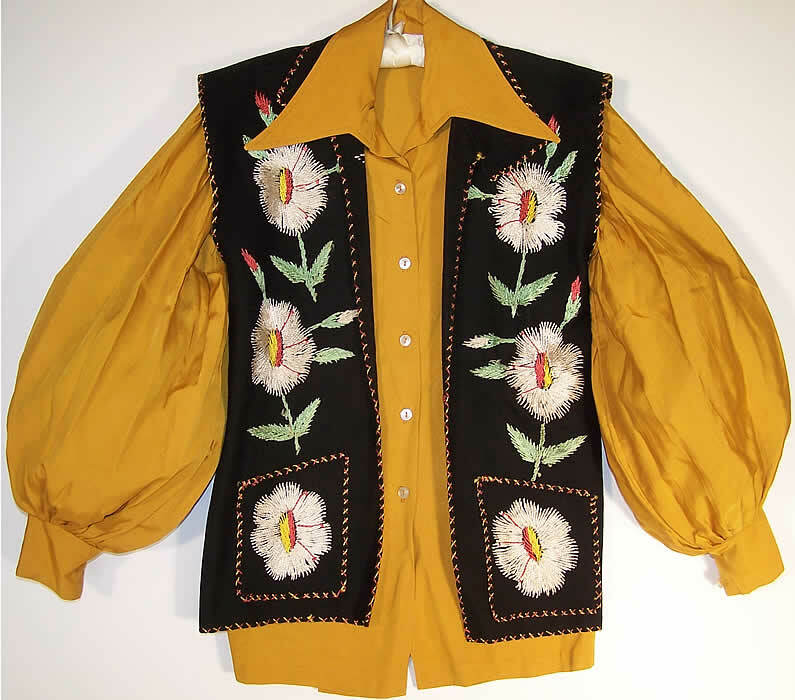 Mexican Embroidered Wool Vest & Gold Blouse. 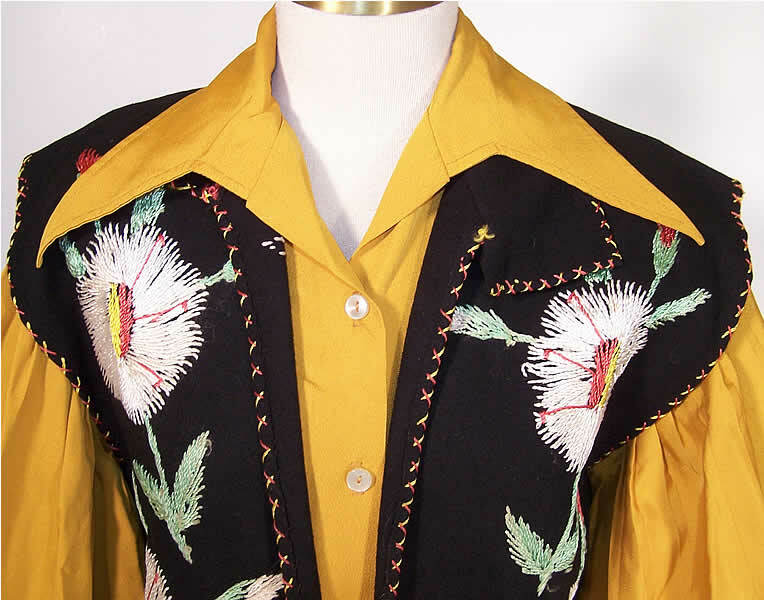 This vintage Mexican embroidered wool vest and gold blouse set dates from the 1940s. 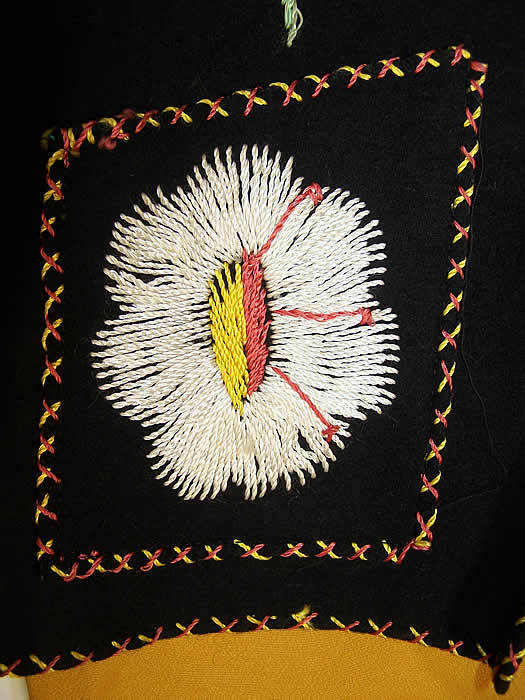 The vest is made of black wool with hand embroidered white flowers on the front and decorative cross stitching done around the edging. 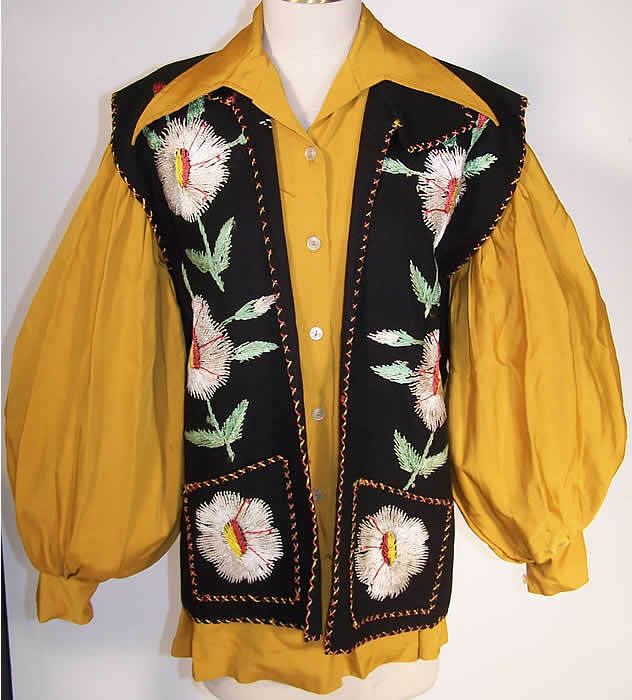 This fabulous folk art style Mexican vest has two bottom front patch pockets and an open front with no closure. The vest measures 25 inches long, with a 36 inch waist and 38 inch bust. 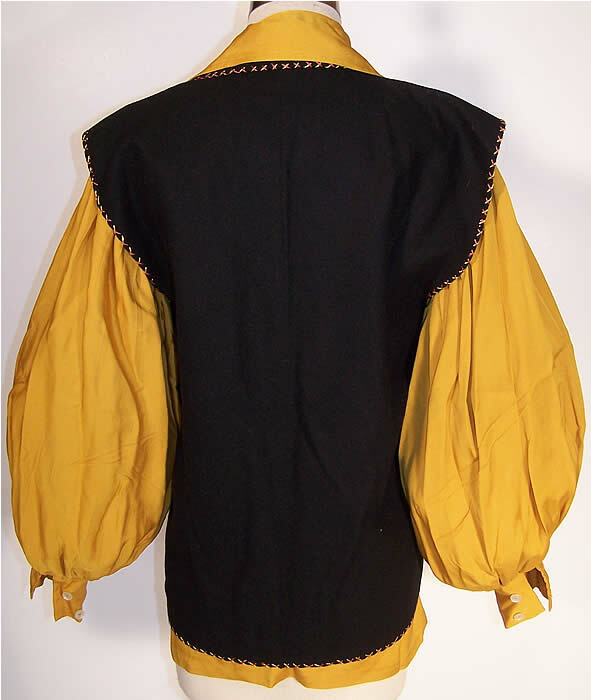 Included with the vest is a gold silk rayon blouse with long full bishop style sleeves, a Barrymore style collar and front button closure. 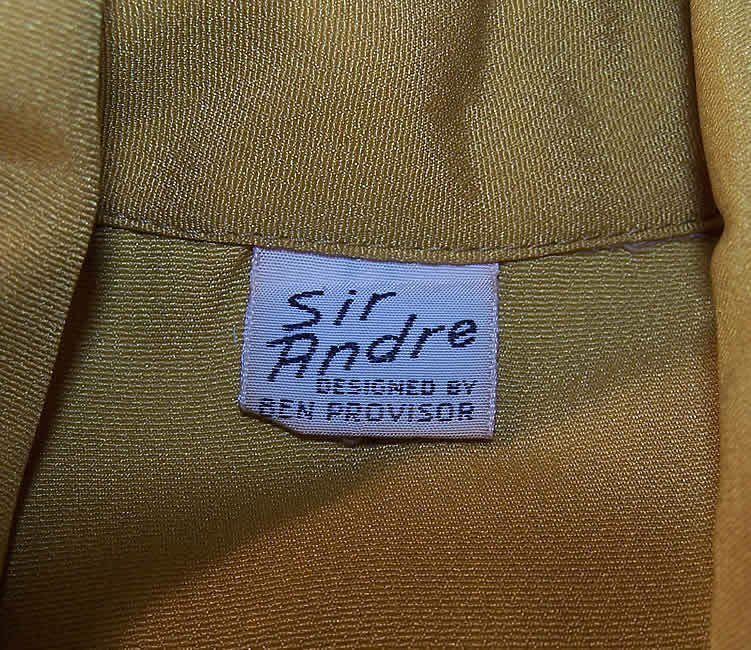 There is a "Sir Andre Designed By Ben Provisor" label sewn inside. The blouse measures 28 inches long, with a 36 inch waist, 40 inch bust, 15 inch back and 23 inch long sleeves. This stunning two piece ensemble is in excellent clean wearable condition and is a great piece of wearable Mexican textile art.